The essence of trade unionism is social uplift. What better issue to provide a “social uplift” than for labor to commit itself to achieving health care as a human right? The Minnesota Nurses Association – and all labor – sees the devastation our current health care system perpetrates every day, as more and more working families struggle to afford access to quality health care simply because of cost. Labor can no longer win this “benefit” at the bargaining table. Health insurance benefits have been (and continue to be) the No. 1 issue of contention at virtually every bargaining table across the country for decades, and health care is at the heart of almost every labor strike that has taken place during that period. We try to figure out a way to decrease costs, only to discover that the only way that’s possible in this profit-driven, market-based system is through a corresponding decrease in benefits. The insurance brokers tell us the cost increases are our fault because we’re utilizing the product. You see, we’re a financial loss to the insurance company once we access the health care system. The only way health insurance companies can make money for their shareholders is to deny care. It’s the CEO’s and shareholders at companies like Wellpoint, United Healthcare and Aetna who are profiting from this immoral system – certainly not union members or their families. That’s why you can’t treat health care like a consumable good. The health care debate has produced some very complex questions, arguments and concerns. But the central issue isn’t really a technical one. It’s a moral one. Our elected officials need to see that health care is a public good – it is about protecting the public’s health – and they must have the political will to invest in needed services for the whole population. We get politicians to do that by building a movement. We make people understand why the system is broken and lay it at the door of the culprits – the “wealth care” industry. President Jimmy Carter said, “Every advance in this half-century – Social Security, civil rights, Medicare, aid to education, one after another – came with the support and leadership of American labor.” The American labor movement has an obligation to our heritage to carry on our great tradition of being at the forefront of all significant social change in this country. It’s time for labor to take its rightful place at the front of the movement to recognize health care as a human right and prioritize the implementation of a single-payer health care system. It’s time to wake the sleeping giant, time to educate, agitate, organize and mobilize. This is the issue that does it all. Let’s rejuvenate the labor movement. Let’s educate workers to fear the status quo – not change – when it comes to the health care system. Let’s agitate workers so they understand the power is within them to make this change happen. Let’s organize the unorganized by showing them the labor movement knows how to get them quality, affordable, accessible health care through a single-payer system. And let’s mobilize them to hit the streets, take on the valueless health insurance industry and tell their elected officials they support health care as a human right. – Rose Roach is executive director of the Minnesota Nurses Association, a 20,000-member union of professional nurses statewide. 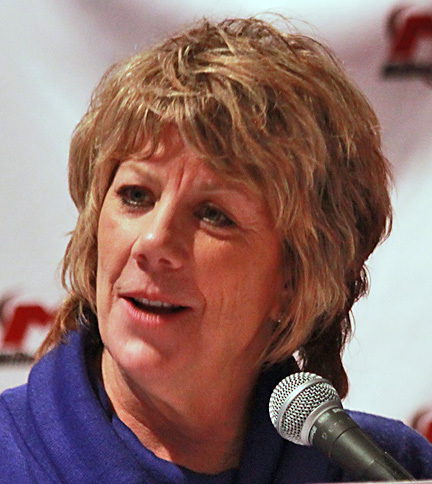 Before joining MNA in October 2014, Roach worked with the Campaign for a Healthy California, which advocates for a single payer health care system in California. I love the term “wealthcare”. Perfect, since the Healthcare industry really does not care about your health…. AMEN! Another Nurse Hits the ball right out of the park! Thanks Rose!